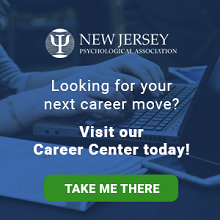 The New Jersey Psychological Association publicly stands in support of our colleagues in the Association of Black Psychologists, who issued a statement on January 28, 2018 condemning public statements made by individuals in positions of power that are degrading and psychologically damaging to those of the African diaspora and other people of color. Such statements attack the humanity of people of color and may trigger traumatic stress reactions (APA, 2008; Carter, 2007; Watson, 2016) by threatening people’s sense of safety and identity. These statements are particularly troubling because they target groups who continue to experience chronic inequity across social systems (healthcare, education, income, criminal justice, child welfare). This recurrent marginalization contributes to high levels of stress, anxiety and fear which can be psychologically damaging and lead to negative health outcomes (Collins et al., 2004; Din-Dzietham et al., 2004). Additionally, such statements legitimize and perpetuate existing inequities. Reports demonstrate an increase in race-based violence and harassment since the presidential election (SAALT, 2018; SPLC, 2016), thereby indicating that disparaging statements from any persons in positions of authority or power can escalate racial tensions and divisions and contribute to a culture of racism that negatively impacts society as a whole but in particularly threatens the safety of vulnerable populations, rather than promoting positive human relations. A huge thank you and note of appreciation to our NJPA Committee on Diversity and Inclusion, including our Committee Chairs Drs. Lale Bilginer and Caridad Moreno, for the work put into this statement. American Psychological Association. (2008). Children and trauma: Update for mental health professionals. Retrieved December, 30, 2015. Collins Jr, J. W., David, R. J., Handler, A., Wall, S., & Andes, S. (2004). Very low birth weight in African American infants: the role of maternal exposure to interpersonal racial discrimination. American journal of public health, 94(12), 2132-2138. Din-Dzietham, R., Nembhard, W. N., Collins, R., & Davis, S. K. (2004). Perceived stress following race-based discrimination at work is associated with hypertension in African–Americans. The metro Atlanta heart disease study, 1999–2001. Social science & medicine, 58(3), 449-461. Watson, L.B., DeBlaere, C., Langrehr, K.J., Zelaya, D.G., & Flores, M.J. (2016). The influence of multiple oppressions on women of color’s experiences with insidious trauma. Journal of counseling psychology, 63(6), 656.